vocals, acoustic guitar, cello, bass, and wattamatumbus. In solo live performances Dan plays the guitar and sings. Dan's “New Appalachian” music incorporates the essential simplicity of the rural mountains, drawing on both 'primitive' and more recent folk styles. At it's root is his accomplished finger-picking style guitar sound and songs influenced by the story-telling folk tradition. At an early age, Dan spent long hours listening to a 50's era Zenith console, playing and replaying the the one 45 rpm single each of Eddie Arnold and Fats Domino, and the 78's of Dinah Shore and Haydn's "Surprise" Symphony. The imprint on an impressionable young mind was profound, and you might say he never recovered. Despite drifting from rock, to country to jazz; to blues, Bach and back again, Dan's own music did not develop. And then, one late night laying awake in a fleabag motel, Dan saw the light. It turned out to the flickering neon sign from "Murph's Café" next door. As fate would have it, the very next day as Dan was dining at that same café, savoring the only item on the menu he could afford; a small order of chili-cheese fries. His eyes were drawn to the Elvis portraits in black velvet, and just below, a small smeared blackboard with the lunch special, "Murph's Bologna Burger". At that moment inspiration struck and would have knocked Dan's socks off, had he been wearing any. The central question was clear....why top your burger with bologna and not chili? It was time to play real music, music that tops off the meaty taste of life like chili on a flame grilled hamburger still dripping with the satisfying essence of fullness. It was from this point the distinct and varied music he called "New Appalachian" began to come forth. (As along as he stayed away from the fifth). Over the years Dan has performed/recorded with Phil Keaggy (Grammy nominee and Dove award winner), Robin Kessinger (1985 National Flatpicking Champion), Nedra Talley Ross (Ronettes), Phil Madeira (Grammy winner, Nashville songwriter, producer and recording artist), L Arthur Nichols (Grammy winner, Nashville producer and songwriter), Lance DeMers (Hannah's Prayer), John Fischer, Jenny Allinder, Ted Sandquist and others. It wasn't until the late 1990's that Dan began to concentrate on his own music, culminating in the release of Dan's first CD, INTO THE FLOW, in 2001. The all-instrumental recording received glowing reviews and was a “Viewer’s Choice” award winner on Kweevak.com. Dan's third CD, WAYFARING STRANGER (2006), placed third in Kweevak's Listener's Choice Awards. "Big Gene", won Honorable Mention in the SONG OF THE MONTH contest. Traditional storytelling is mixed with a measured touch of contemporary sounds. BACK TO MORGANTOWN (2008), is all acoustic. It features his bone-janglin', brain twistin', finger-picking guitar. Original tunes by Dan plus a few traditional favorites: When Johnny Comes Marching Home is meted out on Dan's old acoustic guitar and the music ends with the old Scottish song, Annie Laurie presented in a simple arrangement with guitar, vocal and cello. 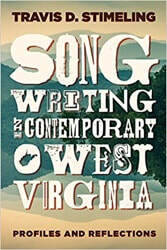 In 2010, Dan released the single Out Of My Mind, a tragic tale set in the 1920's coalfields of West Virginia. This song received recognition in the regional finals of the 2010 Mountain Stage/New Song Contest and was also a finalist in the 2010 Independent Music Awards (Story Song category). APPALACHIAN SONG (2103) featured traditional favorites like Amazing Grace, John Henry, and Angel Band are included along with West Virginia My Home and several originals - all performed acoustically with guitar, fiddle, bass, mandolin and what-have-you. The Dominion Post has described Dan's playing as "guitar genius"
and by Ben Ohmart of Music Dish as "luscious."